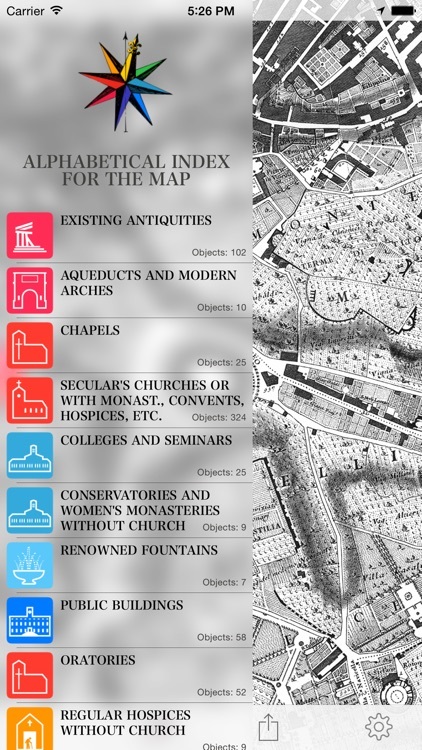 Nolli for iPhone and iPad brings one of the greatest maps of all time to your smartphone: the great plan of Rome by Giambattista Nolli, originally published in 1748. An app to discover the city from the inside and to surprise you. 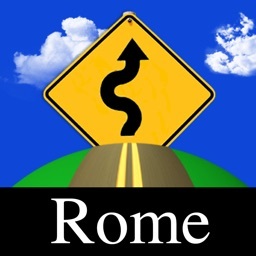 An app to both lose and find yourself in Rome. 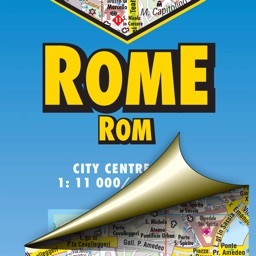 Navigate the Rome of today with this eternal map, that is surprisingly still very valid for the historical center. See more than others, enjoying the fine detail and clear handcrafted graphics of this masterpiece of mapping. 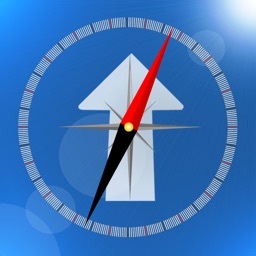 Go into the right direction with this app and you will discover a lot of interesting things that might not have caught your attention using a different map. 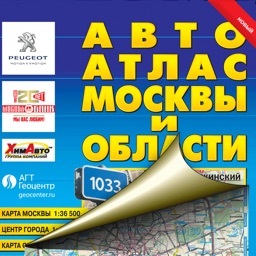 The app allows for using the map in high resolution, also offline, in free browsing mode and in follow-me mode. 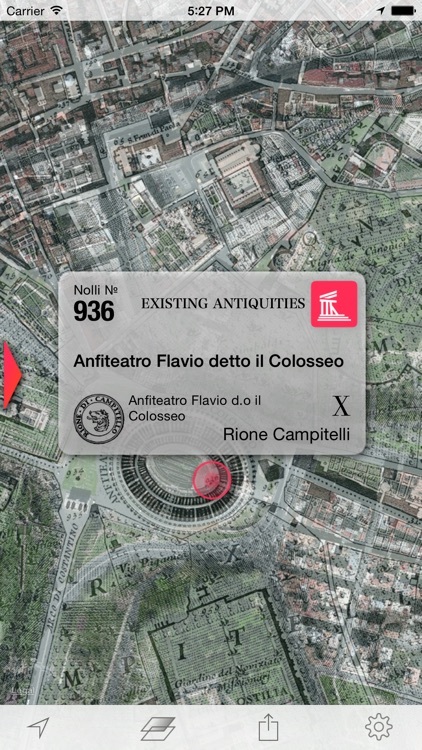 All points of interest from the 2 original indices (alphabetical by category and spatial by number) have been georeferenced and are contained in the app (more than 1400) with their corresponding data (name, typological class, Rione, etc). 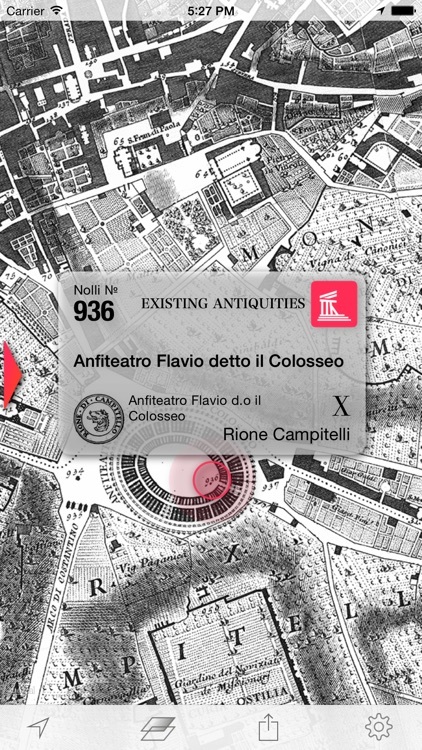 With the spotlight search you can find all features from the indices and all text labels on the plan (more than 600). In designing the present edition of the "Nuova Topografia di Roma" (New Topography of Rome, 12 sheets at a scale of 1:2900) and indices of the "Nuova Pianta di Roma" (New Map of Rome, index to the plan and diminished maps) we have spent great care with the aim to be as close to the original as possible regarding the labeling and the structure of the directories. 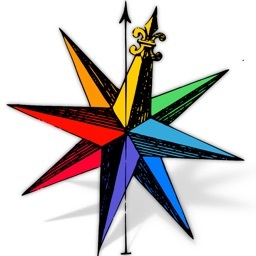 Therefore the app reproduces in the indices on the left side of the map exactly those types in the exact order and (to the contemporary reader occasionally appearing outmoded) notation as provided by Giambattista Nolli in his indices. 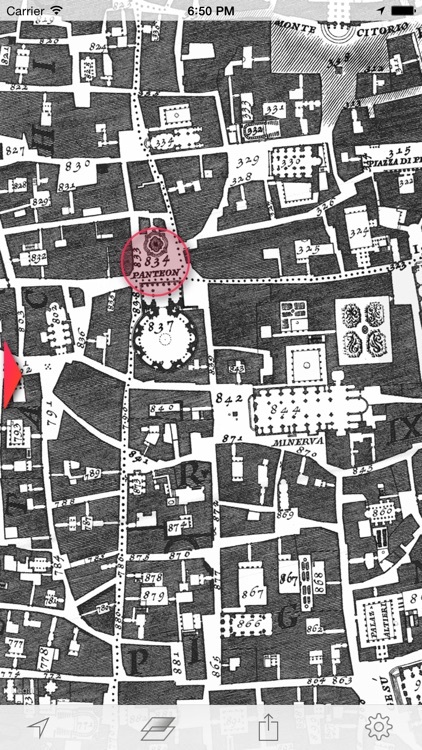 By selecting an entry you will be led to the corresponding location on the map. You can also browse by tapping on one of the numbers on the map to see what it is about. The explanations of the signatures and line styles, hatches and selected abbreviations are reproduced in their original form (see "Legend"). You can access Nolli's original spelling of the indices, legend, and other signs at the bottom of the English version in Italian language. 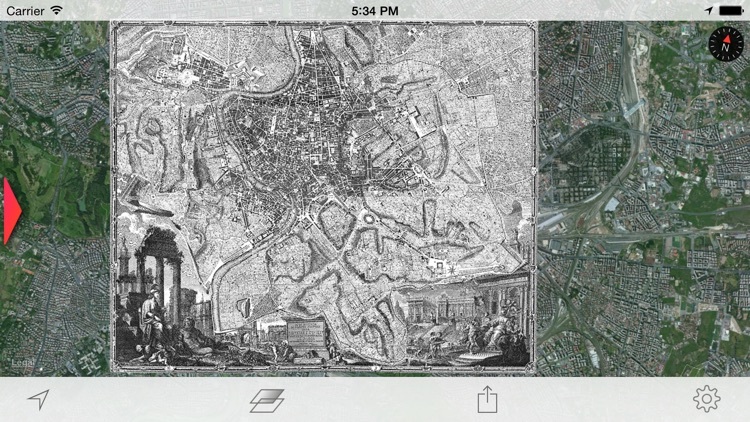 The map itself has been georeferenced and in its projection adapted to that of popular web maps to make it usable with your mobile device, thereby enabling the exciting comparison of today's Rome with that of Nolli's times (mid-18th century). 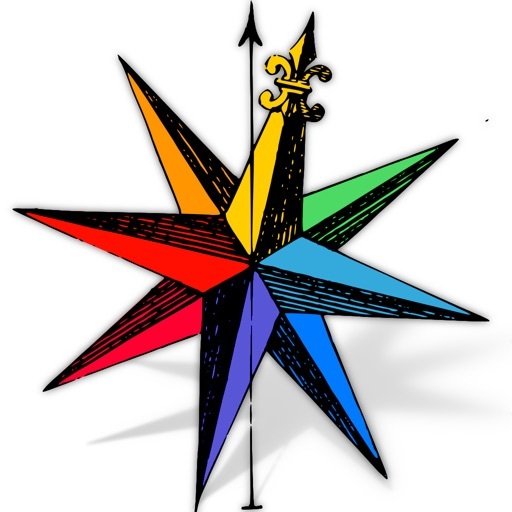 We hope you enjoy the electronic edition of this milestone in the history of cartography!